Austin Wintory's Journey soundtrack couldn't quite muscle its way past The Girl With the Dragon Tattoo. 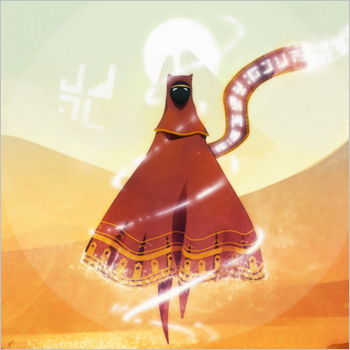 It was big news last December when Austin Wintory's work on Journey was nominated for a Grammy Award, the first "pure" videogame soundtrack to earn such an honor. Alas, despite winning the Best Music Award at the 2013 Spike Video Game Awards, it couldn't quite pull off the same feat last night at the Grammys, losing out to The Girl With the Dragon Tattoo soundtrack by Trent Reznor and Atticus Ross. "Well finally have the answer! Congratulations to @trent_reznor!" Wintory tweeted last night after the winner was announced. Thanking his followers and Journey fans for their support, he added, "Obviously I didn't work on #JourneyPS3 hoping to win a Grammy. The entire point was the game itself and that's gone beyond my wildest dreams." It's a shame that Journey didn't come out on top, but Wintory's accomplishment is still nothing short of remarkable. For those who haven't yet sampled its pleasures, the Journey soundtrack is now available on iTunes.